Luther battles against the Disruptors in a parallel world where many things are familiar - but nothing is the same. The alternative England where Luther fights the Disruptors did not see the monarchy restored after the English Civil War and has been under the rule of the Puritan Parliamentarians for hundreds of years. Led by a direct descendant of Oliver Cromwell, England is ripe for the taking by European superpowers that are preparing to invade. Many in England dream of past glories and an empire ruled by the long exiled Kings and Queens of England. A second civil war is brewing, its aim to bring Prince Charles to the throne, and Luther must help to ensure that the right side wins - not just for the sake of this world but for all worlds. 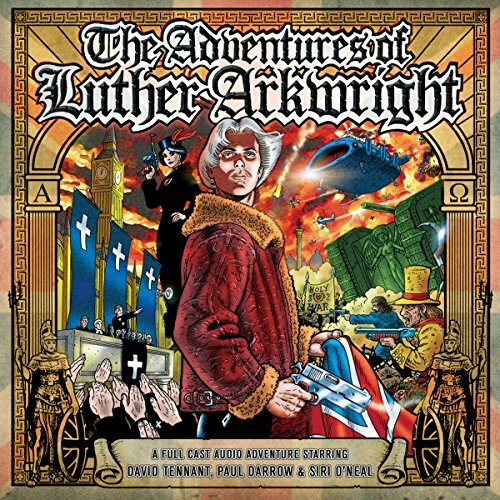 Written by Bryan Talbot; adapted by Mark Wright. Directed by Jason Haigh-Ellery.